The 2011 Utah Headliners/SPJ Journalism Awards contest is now open for entries! We’re excited to announce that entries into this year’s contest will be done through our SPJ Contest website. This specially designed Web site allows you to submit your entries electronically. NO MORE HAVING TO CLIP AND FOLD AND MAIL print entries, audio tapes, video tapes, etc. for most categories. This Web site comes with complete contest rules and instructions for entry, including a series of helpful videos to explain the new format. You will also be able to pay for your entries online at the site (PayPal will be connected shortly), or you can mail checks to our SPJ address: P.O. Box 591, West Jordan, UT 84084. We’ve also created, at the suggestion of our SPJ members, some new categories this year. In newspapers, radio and TV, we’ve added a General News and General Feature category. In newspapers only, we’ve added categories for sports column, humor and lifestyle column, arts and entertainment, and business/consumer reporting. Our deadline for submission of entries is 6 p.m. on Friday, February 25. This includes all entries AND PAYMENT for those entries. Entries will then be submitted to a panel of judges from SPJ chapters in other parts of the United States for their consideration. I invite you to visit the new Web site, (again, it’s https://utahspj.com/contest2010/) create an account, review the rules, watch the help videos and become familiar with this new procedure. From now until the deadline, your entries will remain fully editable by you. If you change your mind, you can re-arrange, delete, add new entries, etc., as explained on the site. So start reviewing your best work from 2010 and start submitting those entries! Should you have questions about any of this, feel free to contact me at any time. We look forward to once again reviewing and honoring Utah’s top journalists for their work during 2010. 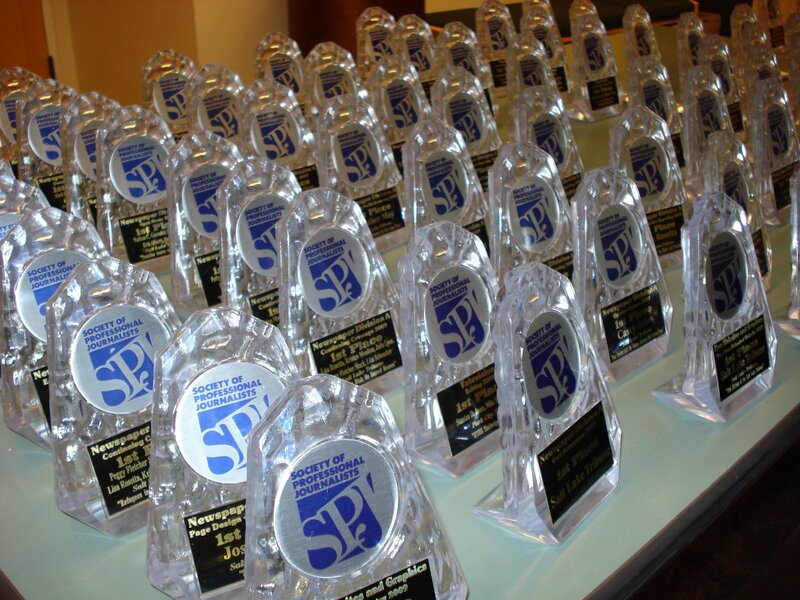 Details about our awards dinner later this year will be forthcoming, and posted as well on our regular SPJ Web site at https://utahspj.com/.